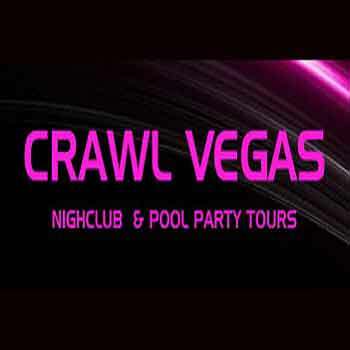 Crawl Vegas is the premier bar crawl through Sin City. Enjoy hassle-free entrance to the best bars and clubs on The Strip. Crawl Vegas knows a thing or two about having a good time in Sin City. Rather than dealing with taxis or ubers and trying to get into clubs with long lines, let Crawl Vegas show you how to do Vegas right. You’ll start the night at a designated bar, where you’ll meet up with your “party guide” who will show you the lay of the land. A party bus will be your transportation for the night, be sure to take advantage of the complimentary drinks aboard. The party crawl is about 4-5 hours so you’ll have plenty of time to dance the night away… and then move on to the next hot spot. And no wasting time in long lines because at each club, you’ll get to go right in without having to wait outside forever like everyone else. The club’s entrance fees are all covered so you can treat yourself to a nice drink or better yet, save it for tickets to a show.